Like “God had a better plan in heaven for our child who died of cancer.” NOT!!!! God is not in control but is in us and in all our circumstances rejoicing with us and weeping with us, loving us through all the pain and joy! Well said, Paul! Thanks for reading and commenting, and here’s to you living in Canada away from all of this nonsense! God in control theology speaking is the Determinist view, the one that subscribes to the doctrine of Predestination. The Protestant opposition to Catholic dogma of mystery, free will. Protestants went wild with Old Testament Judaic God, who lets remember offers no salve in afterlife, or the divine feminine. The also got tangled up in a literal interpretation of that old classic, the Revelation of St. John of Patmos. Check to see if you follow the logic of presbyterian or any reformed “denominational” christianity. You do realize that Predestination is part of the Catholic Faith right? The difference is that God knows, by his omniscient nature, what we will or will not do in this life and if we will be saved or not. The Protestant doctrine that Catholicism rejects is Double Predestination which is that God not only knows our fate, but that God made people specifically to be damned. The Catholic teaching on free will is actually a little murky. Any orthodox Christian reading must reconcile how God is portrayed in parts of the Old Testament and how he is portrayed in the New Testament. They are the same God, not an Old Testament God and a New Testament one. Please be aware that not all Protestants embrace(d) the doctrine of predestination in any of its forms. Those who did/do are usually related to the Calvinist branch of Reformation thought. John Wesley, for example, considered predestination an abominable doctrine and identified as an Arminian, a proponent of human free will. Thus, those “Protestants” who are part of the Wesleyan Family have never embraced predestination. It’s much more helpful in these discussions not to lump all Protestants into a single group about which you can generalize. The same holds true of Christians as a group. Very few generalizations apply equally to all. My apologies. It was not my intent to claim that all Protestants believed in Double Predestination, rather that it was an idea that was unique to the Protestant world, as far as I know, it is not part of the faith Traditions of the Catholic or any of the Orthodox Churches. That being said, my statement could certainly have been legitimately read in the way that you did in fact read it. I will try to be more precise in the future. I’m not speaking to the point of God punishing anyone, but He is the one that causes the rain to fall on the just and the unjust. To deny that is to go directly contrary to scripture. I’m sure that this is not the point of the article, but it is not the best example of His love that could have been chosen. I am not boastfully declaring that God sends hurricanes, just stating facts. Allen, thanks so much for reading and commenting, I appreciate your views. However, I disagree with your interpretation of Scripture. I agree with Allen, Chris. I don’t find your position sound scripturally or even via an basic undertstansing of geology / science. As Creator of all things, God sets in motion necessary environmental processes that help to keep the planet “regulated” and “healthy.” This includes hurricanes. So God absolutely sends hurricanes. We cannot say God doesn’t have authorship of / authority over the weather (Jesus did), yet also say God’s grace is somehow omnipotent to save, unify, and heal. So, in my opinion, a sound argument would be, people in their greed and arrogance and idolatry, choose to live in areas more susceptible to intense weather (S Florida) ignoring sound advice re proper draining systems (Houston) instead laying down asphalt and concrete and forcing the least of these to live in the most ill-advised locations (parts of New Orleans). 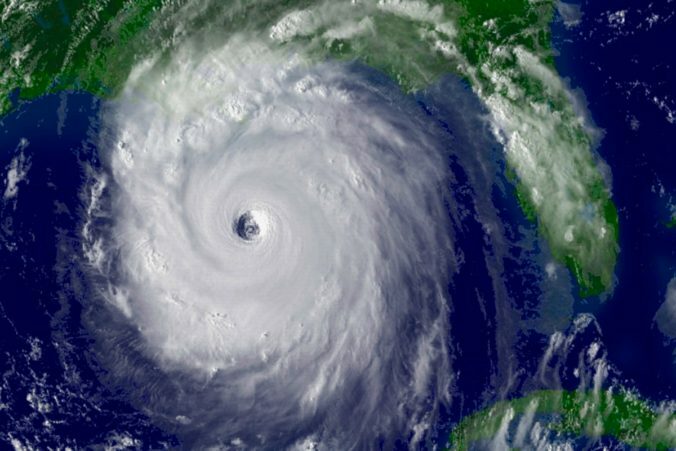 So, God doesn’t send hurricanes to punish any group of people (as Allen said, God causes rain to fall on “evil” and “good” people), yet God also won’t necessarily stop a hurricane from forming and hitting a populated area as hurricanes and other natural weather events help regulate and make habitable the whole world. Will, I appreciate your comments and thank you for sharing your perspectives. With all due respect, I disagree with your interpretations and assessments of Scripture and the ways of God. Well, what scripture are you interpreting and referencing? “It’s high time we grow past anchoring our faith to the limited revelation of Biblical writers who…” Except, of course, the parts you think are “limited” or wrong. If you don’t believe Scripture is divine revelation or inspired, (1) why make any attempt to claim your view harmonizes with Scripture and (2) why claim the name of “Christian” at all? Where did I day that Scripture is not inspired? Why would you comment on a blog with the name “someone” if you wanted your questions to be taken seriously? In typing “you have ‘raped’ Jesus into a missile” could you have meant “wrapped”? No, Mandy, I meant just as it reads, “raped.” Thanks for pointing out what you thought was an error. I keep waiting for the day when I don’t feel like you’re stealing my thoughts. Great post! Thank you for writing. I can’t agree with you that Jesus is in neither hurricanes nor right wing Christianity. Jesus is in both. The question is what he’s doing. In the midst of the storm Jesus is standing with those afflicted and devastated, offering comfort and hope. In the midst of right wing Christianity (and, frankly, progressive Christianity and every other form of Christianity) Jesus is calling the adherents of the belief system to repentance for the idolatry of putting their beliefs ahead of him – because progressives do that as much as anyone else – and is, instead, calling them to seek him and follow him and his way, rather than their own way. Steven, I appreciate you commenting and I hope you read the article. With all due respect, it seems by your comment you may not have or aren’t willing to apply the context of my words. Obviously, Jesus is in the midst of suffering. Obviously, Jesus desires for all to grow in Grace and is at work in all people’s lives. To suggest that this article contradicts that is, in my humble opinion, to excel at missing the point. Man kind is the reason that hurricanes are getting so big and strong. We are making global warming happen faster then it needs to. Yes the earth goes through periods of heating and cooling, but the earth never did it this fast. FL did absolutely nothing to deserve Irma. Texas did absolutely nothing to deserve Harvey. Aurora, thank you for reading and commenting, and for the encouragement! She is love. She is grace. What ‘She’ are you referring to? Thanks for the question James, the “She” is referring to God. Carol, thanks for reading and adding to the conversation. Appreciate you and your thoughts! Otherwise known as the Gnostic position. First tenet of Calvinism : Total Depravity – The world is all sin, the spirit is locked in matter. It equates to a total distrust of creation and leads to environmental destruction, because nothing down here is anything but the low and tawdry prison of temporal and illusory matter. Outcome of this logic is the justification of the science behind the Hydrogen bomb. Well except God does create disaster, according to scripture. Unless you try to get around that by using scriptural gymnastics: Isaiah 45:7 — I form the light and create darkness, I bring prosperity and create disaster; I, the Lord, do all these things. Khru, I appreciate your perspective, but what you call scriptural gymnastics, many scholars would call faithful exegesis. You are certainly entitled to your opinion, but I respectfully and firmly disagree with your interpretations. I appreciate the article and agree and am sharing. My only challenge and question – Isn’t the act of always gendering God as male also an example of remaking god into an image that fits “our” worldview? Ameli, I hope you noticed my use of “She” in the article. I would tend to agree with you. Please stop pretending you know God’s plan or intention. He is all-knowing. Your chopping his omnipotence down to human understanding…which is impossible. I trust he is in control of all. I’m a teacher for children, and elementary teacher. Before that, I taught science to older children. Like them, I’m fascinated with the rock cycle and earthquakes and natural orders or phenomenons, so I had fun teaching the subject. But I was also in the position to explain to them that we have as much power as nature, with our choices, our pollution, our use of resources, that can impact nature over time. By then though, they were already scrolling their iPhones for likes. We did this. The industrial revolution did this. Our moutains and wells and ditches of trash did this. Our clouds of toxic waste did this. The climate is not more powerful than our ability to change it with our seemingly never ending desire to have things or change things, or just be in control. I’m also a preacher’s kid, doubly so, cause my dad the preacher was also a preacher’s kid. I appreciate your direct approach, kind sir; your no nonsesne manner, your boldness in speaking, as much as I appreciate the boldness of Martin Luther, under whose teaching I was nurtured. The temperatures of the seas will rise, the absence of El Nino will allow the storms to build and surge, and those who are able will help those in need. Sondance, good thoughts, sure do appreciate you taking the time to share them! Thanks for adding insight to the conversation! Your article was very eloquent but Biblically I felt it was contradictory to God’s word. A couple of quick points I wanted to address. First you said the writers of the Bible had “limited revelation” when in fact they were under the full revelation of God because, according to 2 Timothy 3:16, all Scripture is God-breathed. Secondly, God has chosen to reveal Himself with an emphasis on masculine qualities and to describe Him in the feminine sense is to downgrade who He is. He is equal parts man/woman but He chooses to reveal Himself as a Father, King, Husband with qualities of being a protector, provider, and of strength. In fact, the Hebrew word “Elohim” which ends in “im” denotes a plural masculine noun. Lastly, God doesn’t wish that anyone suffer but man is the one to blame for this. God created us to live in a perfect sinless environment but we CHOSE to go against what He had created for us, and thus, allowed sin to come into this world along with these such devastations. From the beginning He has revealed Himself to man and invited us back to Him through His son Jesus Christ. It has always been about Him and it will always be about Him. Genesis 9 says that He has promised to “not destroy the Earth again by flood.” Later in Genesis 19 the two messengers remind Lot that “He sent us to destroy it” (Sodom). A few verses below that we see where God did destroy it with burning sulfur. Again we see that Satan was given permission, by God, to attack Job with the only caveat of not being able to kill him. God withdrew His protection from Job’s possessions; for Job to be tested much like Peter was sifted. God is Holy and Just. In Him there is no darkness. He tells us to be Holy as He is Holy. To love the things He loves and to hate what He hates. Does God use natural disasters to bring people to Him? Absolutely! Everything that happens is used by God to point people to Him. To show them they/we need a Savior. The Bible says that all things work for good to those that love God and who are called by His purpose. I would encourage you to use Biblical references to support your ideas. If you do, then we have a common ground. Otherwise it just seems like personal philosophical rhetoric which borderlines secular humanism. Robert, you are most certainly welcome to your own interpretations of Scripture. Just because mine may not be in line with yours does not make them any less biblical. I am fully aware of your framework for exegesis as I have been a pastor for 23 years, and at points along the way, probably shared your views and hermeneutic. Using biblical references to prove or substantiate a point is a highly subjective endeavor as people have used the Scriptures to justify all sorts of actions, ideologies, and pursuits. Thanks for sharing your views. What is the difference between an all powerful god causing a hurricane and standing by while one kills and destroys? Isn’t an all powerful god responsible in either case? I believe this line in the Lord’s prayer puts some limits on God’s being all powerful. “Thy will be done on earth as it is in Heaven”. Why pray for this if God’s will is already done? It already says its only done in Heaven. His will is done only if everyone loves God and his neighbour as himself. We are the hands and feet of God on earth and as many have shown, it is human actions and inactions that often cause disasters. And indeed the rain falls on the just and the unjust. Thank you Ckratzer for so eloquently writing this for us. Would this idea make sense as a parent? Would I wait for my sons to demonstrate they love one another before I intervene. Do I wait for my children to do my job? And if God is not all powerful, then that is not god, but simply a very powerful being. I believe you misinterpreted my post. I believe strongly in divine intervention and at times God’s will does get done. The parent analogy does not apply. Except maybe when at times parents cannot fulfill promises beyond their control. I just believe that there are forces He created that we do not understand…as He chided Job who was not there at creation. Hence there are hurricanes that are NOT God’s will. I responded to this post in general – but also to you Mr. Harty in another entry. I simply want to say that some people believe that God has put limits upon what God can do – mostly because God thought that love was worth all the risks. A parent does all that a parent can do to provide safety as well as guidelines for living an authentic, compassionate life. But there comes a time when that parent must allow for and respect the autonomy of the child. The parent may not condone the choices made by the child but because of love can not coerce or control that child. So, empowered by grace and listening for the promptings of the Spirit, I call upon those who will hear to lead lives as fully functioning, free-thinking, mistake-making adult disciples, knowing that such lives will bring joy to the heart of our Heavenly Parent. And if this is what God wants for us, what God knows is best for us on earth, then surely it is also what God wants for us in Paradise, meaning our lives of growth and learning and maturation, lives filled with the richest experiences and relationships possible, will never end. As I read your blog, and the comments, I couldn’t help but to think of Job. Job was a righteous man who loved God and prayed not only for himself, but for his family also. God didn’t cause Job to lose everything he had, but he did allow satan to carry out his mission of destruction against Job. Yes, I do believe God has a reason to allow bad things to happen to us and our loved ones…that reason is given to us in 2 Corinthians 1:3-4″ Praise be to the God and Father of our Lord Jesus Christ, the Gather of compassion and the God of all comfort, 4 who comforts us in all our troubles, so that we can comfort those in any trouble with the comfort we ourselves receive from God”. We can not really comfort another unless we really know what pain they are feeling. I never had children, so it’s hard for me to understand a “mothers love” for a child. And when that child is taken away, I surely don’t know how to comfort that mother. Oh, I can be there for her, but I don’t truly know her pain. Only someone who has lost a child can understand what she’s going through. God doesn’t send hurricanes, but he does allow them to happen. And there are people who have suffered this type of devastation who will be there to comfort the mother who lost her child or the child who has lost it’s mother. Yes, in the eye of the storm, we are still surrounded by God…..and his love. Debbie, thanks so much for sharing this thoughtful comment. While I understand, and in part agree with you, I suspect that the people who believe in a vengeful God are actually very frightened people who desperately want someone else to be the recipient of God’s wrath (not even knowing that the word “wrath” is nuanced with “sorrow”) so I will continue to pray for them – How awful to be so afraid all the time – how evil that their fear spills out in hatred for others who bear the divine image. I believe that God is in the storm, in the wildfire, the earthquake, any violence – and even, if deeply hidden, in the “church” that misrepresents God. God is present, offering grace to those in need, but hidden to those who cannot see the Compassion that invites our own compassion. Richard Harty, I would humbly suggest that we don’t have perspective enough to accuse God of non-action, let alone wrong action. That being said, God is strong enough to handle any of our rejection. I have spent my life pondering the question of evil and the goodness of God – and while I think the God doesn’t need me to defend God’s character I would like to bear witness to the fact that despite everything I’ve seen or experienced, I trust that all – everything good and evil that we’ve experienced – was held by Jesus as he died on the cross. The evil loosed in the world (by doubting God’s good intention) can be healed by trusting that the gracious Creator became human and at the critical time gathered all good and evil within as he died on the cross – It killed him, but before he died he offered forgiveness to anyone who would listen. Some of us need to learn that forgiveness and free God from our anger and resentment, free the One who offers us freedom. The message of the cross is that we never suffer alone. It is a lesson that love is stronger than death, that joy is stronger than suffering. And you will just have to take my word for it that I know mental anguish and chronic physical pain. I don’t say this lightly, easily … I say this because in my suffering I’ve learned that pain or suffering isn’t punishment – it is instead, perhaps, an embodiment of some aspect of the Creator’s pain when first contracting to bring forth a material universe. Some of the mystics speak of a shattering. I think each of us mirrors some aspect of the Creator’s experience. Some of us know pain too well, others seem locked into what might be described as the destructive forces of creation… some are able to delight in creativity and or beauty. But we are not locked into our experiences, there is grace available to set us free. Now the idea of faith in something we can’t know is not freedom of choice because for choice to be free it has to be informed. To choose something without understanding is blind chance or we could be completely ignorant of other possible choices, therefore limiting our freedom to choose those options. Rather than assigning some conscious incompetent/evil being who doesn’t intervene in many horrendous cases, I find it far more likely there is no god at all involved with our day to day experience. What we see is cause and effect playing out in a universe that isn’t particularly concerned about us. It appears to me that hurricanes are simply a byproduct of the physical forces that govern how matter and energy interact. That doesn’t mean I face life without hope. It makes no sense to enter one’s day expecting the worst. In fact it makes the most sense to hope for the best and adapt to what ever comes along without resentment. You don’t need forgiveness or a god to see how that is a better starting point for one’s life. And pain, to me, is simply a signal that I am out of balance with the world I live in. Either my body or my mind or both are at odds with reality. In fact the truth does set us free in that sense. When we discover the truth of the imbalance and take steps to come into balance, pain is reduced. And for me, when I suffered, having a god, who I expected to be with me in compassion, actually present me with complete silence, is easier to face when I understand there are no gods. To engage with each other in compassion is not only based in reality, it actually has results, unlike when I prayed to a god who wasn’t there. It’s a slap in the face when someone tells me I’m simply too inferior to god to question his silence. God gets off the hook too easily because of the “mysterious ways” clause. I don’t buy it any more. Plus it doesn’t work. I would point out that there are other possible solutions to the Evidential Problem of evil other than simply rejecting God as an hypothesis. I suggest you check out the work of Alvin Plantinga. I suppose it could be grasping at straws, I guess the first question I would ask is, do you think the existence of demons and angels is inconsistent with the notion of God? Why should the natural realm be the limit of God’s creativity? And if he did indeed create angels, why should they not also have free will, and for those who chose evil, what is so illogical about them trying to make life difficult for those in the natural world? In any case, I think we should focus on a different aspect of Plantinga’s hypothesis. The idea that God will allow evil to occur because it will result in a higher good. Now if God exists, we must admit that his mind is fundamentally beyond our ability to fully understand, and that his plan is beyond ours to fully grasp. While natural evil is indeed terrible, think of how many acts of love it has brought forth. Think about how many people in Houston, Florida and the Caribbean are helping their neighbors who might never have done so otherwise? Does it offset the tragedy, probably not, but God is looking at eternity, not necessarily at the limit span of our temporal lives. And She is a He. Sorry, son. I agree with most of what you write in your posts, because I, too, have seen most of the modern “Christian” leaders as little more than bullying fascists into this for power and control. Unfortunately, I’ve also been feeling an edgy discomfort over what looks like an idea that there’s no requirement for being a Christian than to having been born. For that reason, I’m afraid that I really can’t keep following your postings. Good luck to you and your followers. Blessing to you Gerry on your journey. By some of the comments I can say that conservative evangelicals have become psychotic as they believe in a hate filled god and so they put Trump in office and have become fact resistant! The Bible is a book written by a corrupt king of England called James as all good propaganda must contain truth! The Bible contains much truth but is not a document about how to run a civil government as conservative evangelicals are dangerous as a group as we see the fruits of their elk in Washington!